One of finest homes in the village of Elbridge has become available for the first time. 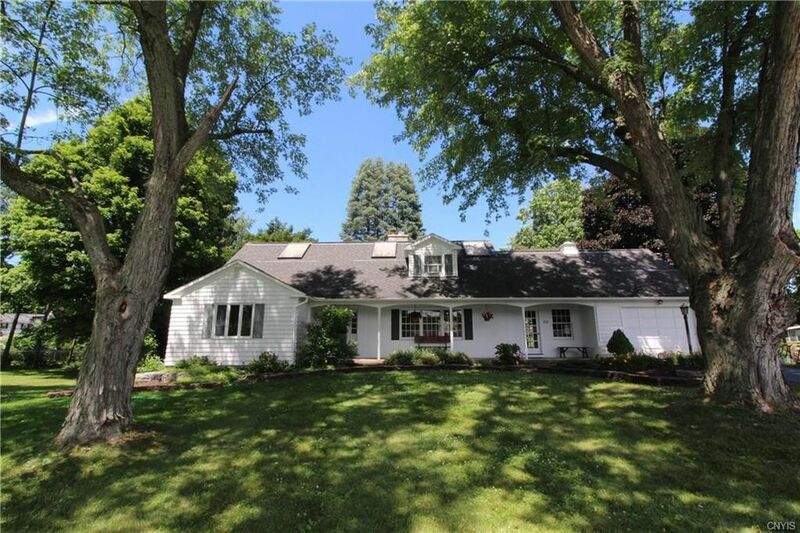 The location is ideal - it rests on a popular cul-de-sac, is just 8 mins from Skaneateles Village and has charming curb appeal. The superior custom workmanship makes this a one of kind home; features include sparkling red oak hardwoods, painted redwood siding, exposed hemlock beams, energy efficient skylights, air conditioning, custom built in shelves with nooks and crannies galore, new gas fire place, and an expansive cascading deck. The kitchen boasts granite counter tops, solid cherry cabinets, over sized stainless steel double sink, and Mexican tile floor. Full service village conveniences and attractions, state of the art playground, ball fields and a nature trail are just a stroll away. Directions: From Camillus (7 minutes): Route 5 West to Meadow Rd. to Meadow Dr. From Skaneateles (8 minutes): Jordan Road to East on Route 5 to Meadow Rd. to Meadow Dr. From Auburn (9 minutes): Route 5 East to Meadow Rd to Meadow Dr.